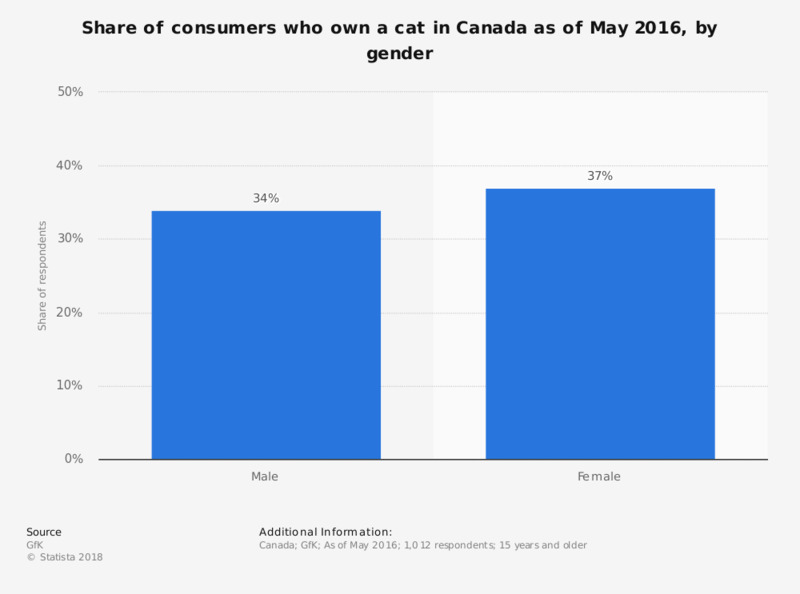 This statistic shows the share of adults who own a cat in Canada as of May 2016, by gender. During the survey, 37 percent of the female respondents said they owned at least one cat, compared to 34 percent of males. This question was phrased by the source as follows: "Do you have any of these pets living with you? Select all that apply."